OUR GROUP RATE IS $179.00/NIGHT PLUS TAXES, AN EXELLENT RATE FOR AUSTIN AND THE LOCATION AND QUALITY OF THE HOTEL. THIS RATE ALSO APPLIES TO APRIL 18, 19, AND 23. A BLOCK OF 25 ROOMS WILL BE HELD FOR US, PLUS MORE IF NEEDED, BASED ON AVAILABILITY. 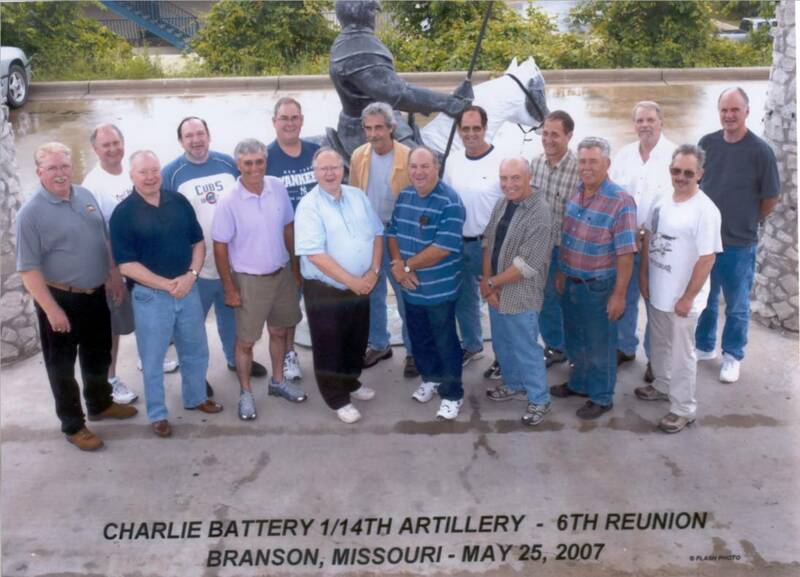 RESERVATIONS CAN BE MADE BY CALLING THE NATIONAL RESERVATION CENTER AT 1-800 333-3333 AND MENTIONING "2016 CHARLIE BATTERY VIETNAM VETERANS REUNION." OR BY RESERVING ONLINE AT THE FOLLOWING WEB LINK. THE CUT-OFF DATE FOR GROUP RATE RESERVATIONS IS MONDAY, MARCH 21. CANCELLATIONS REQUIRE A 24 HOUR NOTICE. Austin is served by Austin-Bergstrom In AIRPORT. AS OF 2014, GETTING FROM THE AIRPORT TO DOWNTOWN COST $13 (SUPER SHUTTLE VAN),$2.00(CAPITOL METRO AIRPORT FLYER), AND $30.00 (TAXI). OUR HOTEL MIGHT HAVE ITS OWN SHUTTLE. BE SURE TO CHECK. IN JANUARY,I WILL MAIL THE INFORMATION TO EVERYONE I HAVE AN ADDRESS FOR.IF YOU HAVE QUESTIONS,CALL ME (MIKE SUTTER). IF I MISS YOUR CALL, WHICH WILL PROBABLY HAPPEN BECAUSE I'M NOT IN LOVE WITH MY TELEPHONES, LEAVE A MESSAGE AND I WILL CALL BACK. Left to right back row, Bob Grunden, Joe Howell, Bob Agans, Mike Sutter, Mark Kramer, Don Sylvester, Ed Kiser. and John Sartain. 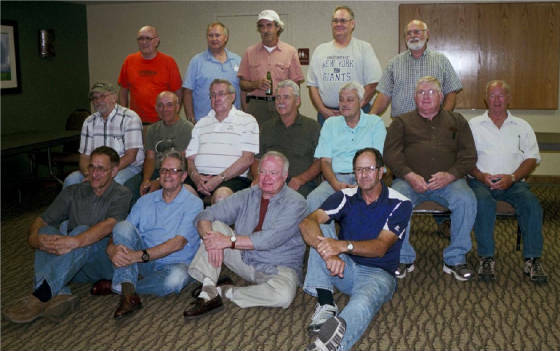 Left to right front row, Clarence Marrs, AC Sanders III, Earl McGreger, Larry Banks, Jackie Sanders, Leonard Haas, Bob Trolinger, and Mike Bender.